Exeter School pupils and staff are celebrating a successful first term of fundraising with the news that over £10,000 has been raised for charity in one term. The focus of the Junior School's mufti day was Children in Need. 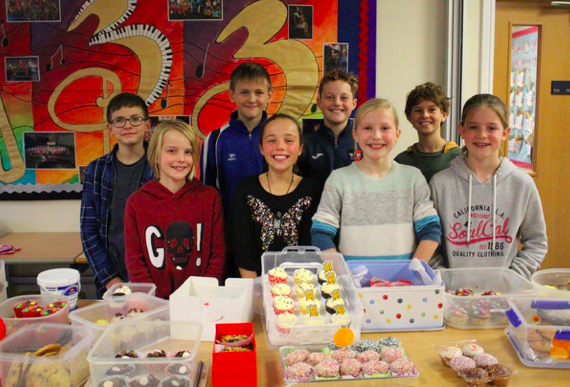 Mufti day and a cake sale raised almost £400 for this popular charity. Senior School pupils and staff raised money by wearing spots, taking part in a lunchtime, spot-related, quiz, and bringing in foreign currency to be converted into pounds making a total of £729. In addition to these school-wide events, many Houses made efforts to raise money for their chosen charities. As ever, there were many cakes sales for a number of charities, raising over £1,000 for good causes - a lot of cake! The school's Library also got involved in charitable fundraising with a book and cake sale for The Book Trust raising £243 to send festive book parcels to vulnerable and disadvantaged children this Christmas. This year, the Chaplain's Charity of the Year is St Petrock's and Revd Tom invited a speaker to talk to pupils during Chapel services at Harvest time. 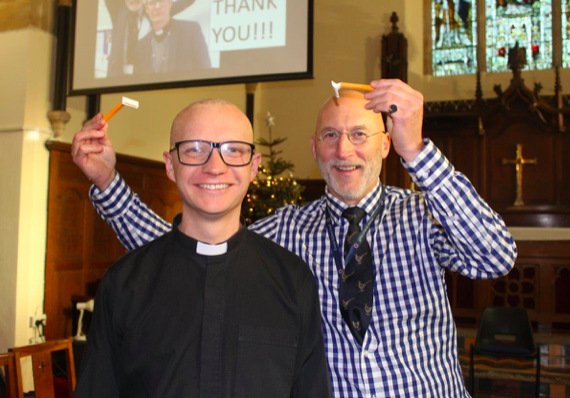 The charity was really impressed with the scale of the food donations and Revd Tom was so inspired by the work of the charity that he offered to have his head shaved if the target of £5,000 was reached by the end of term. All of the money came in by the final Thursday of term and the great haircut took place in the Chapel by Head of History, Giles Trelawny, who did a great job, observed by a crowd of pupils and staff. In total this raised over £5,500 for St Petrock's. The Christmas season became yet another reason for our pupils to look outwards generously. 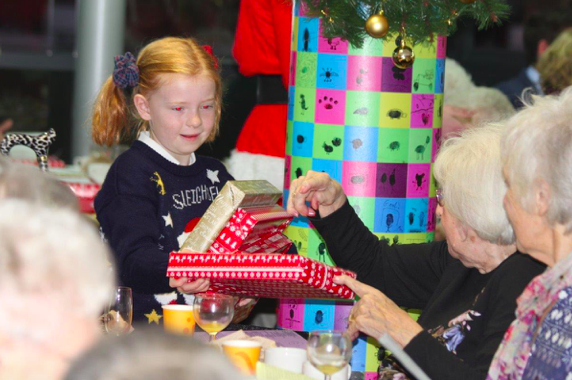 Both the Junior and Senior School enjoyed Christmas jumper days, raising funds for the Community Service Christmas party, attended by over 100 local senior citizens, and two national children's charities, Save the Children and the Children's Society. The Christmas concert raised £271 for WaterAid, by selling cups of water and squash in the two intervals. 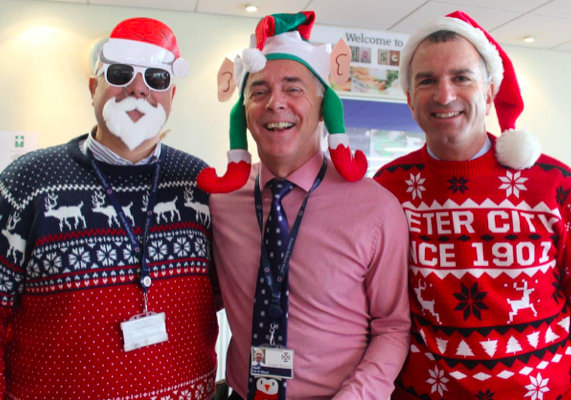 Daw and Dowrich House sold Christmas cards for Pete's Dragons and Alzheimers UK, raising just under £300, and the staff common room raised £100 for Julian House, Grief Encounter and MIND through the annual staff Christmas card. "Thanks to pupils, parents and staff for giving so generously to the school's charities over the last term," he said. "As the Ten Tors season really begins, we look forward to raising funds for this term's charity Dartmoor Search and Rescue Group, as well as supporting many other worthwhile organisations."